The following information can be found on the OUAC website. You are taking courses during the day at an Ontario high school (this includes students returning for second semester and graduated students returning to upgrade one or more courses). You have not, at some point, been out of high school for more than seven consecutive months. You will have received or expect to receive your Ontario Secondary School Diploma (OSSD) with six 4U/M courses at the end of the current year. You have not attended a postsecondary institution (college/university/career college). You are applying to the first year of an undergraduate degree program or diploma program at an Ontario university. Contact your guidance counsellor or the OUAC if you do not satisfy all of the previous criteria. You may log in to your 101 account to review and change your application information and to review and respond to university offers of admission. Note: Applications received after the deadline will still be processed by the OUAC and distributed to the universities; however, specific university deadlines will apply. The complete guide for applying to an Ontario university. Find the most up-to-date information about programs that interest you. ​These how-to instructional videos will guide you through the eINFO website and the 101 online application. Check out university publications and university websites. Visit eINFO and the 101 application to browse programs online. Record your program choices and their OUAC codes. Make note of all admission requirements and program-specific deadlines. Review the 101 Instruction Booklet [PDF]. Check the 101 Addenda for important updates. Attend the Ontario Universities’ Fair (OUF) and/or the University Information Program (UIP). Narrow down your university program selections by talking to your parents, teachers and guidance counsellors about your interests and options. Watch the instructional video on how to apply online. Review the 101 Important Dates. Use the information in your Application Access Code Letter to log in to your online application. Note: The first time you log in you must change your temporary PIN to a personal password. Use your password (instead of your PIN) the next time you log in. Review your program selections before clicking “I Verify and Agree”. Submit your application, with payment, well before the 101 application deadline and any university program-specific deadlines. Record the OUAC Reference Number you receive and keep it in a safe place. You will require this number, along with your password, for future access to your application, and to respond to university offers of admission. After one business day, log in to your online application to verify the details. Review and make any necessary changes. Ensure spam filters are set to accept email from the OUAC and the universities you applied to. Email is the primary mode of communication for the universities and the OUAC. The universities will acknowledge that they received your application. After you receive your report card, log in to verify your grades information. Notify your guidance office of any necessary corrections. Visit a university. University open houses and campus visits are great ways to experience first-hand what campus life is like and help you decide which university is the best fit for you. Expect to receive either an offer of admission or a refusal from the universities you applied to by the end of May. Review the 101 Important Dates. All fees are non-refundable. Your application will not be forwarded to your university choice(s) until you submit full payment to the OUAC. Fees for withdrawn university choices are not refunded. All fees are listed in Canadian dollars. These fees are for fall entry 2016. For the initial 3 university/program choices. If the mailing address is outside of Canada. For each university/program choice beyond the initial 3 (e.g., if 2 additional university choices are added, you must pay $100 in addition to the base application fee). Note: You may apply to as many Ontario universities/programs as you wish; however, you are limited to a maximum of 3 program choices at any one university (including its affiliates). Some universities may further limit the number of programs you can apply to. Credit card (VISA, MasterCard or American Express). Prepaid credit cards and VISA debit cards are not accepted. Online banking (Canadian banks and credit unions only). Normally takes 1-3 business days. All payments must be made in Canadian funds. For more information, visit Methods of Payment. ​​INFO ABOUT "THE TOP SIX AVERAGE IN ONTARIO"
​What does the phrase “Top Six” mean for Ontario university admissions? “Top Six” refers to the six senior (12U and sometimes 12M) Ontario high school courses that are averaged (with equal weighting) to determine your “university admission average” (like a GPA) by Ontario universities. Which courses/grades are included in the Top Six? Your Top Six average is calculated based on a combination of required and elective courses and your individual admission average varies from school to school, and even from program to program! When you apply to an Ontario university, the admissions department will receive a list of your grades for all courses at the 11 and 12 level, but they don’t initially see all of those grades. Your academic transcript is reduced to a single admissions average by a computer calculation that takes into account only six of your Grade 12 courses at the “U” or “M” level. All university programs require a total of six Grade 12 courses, but they generally don’t dictate exactly which six courses you must have. Typically, an arts program will have only 1 or 2 specific requirements, and the remaining courses can be any 12U courses, as long as there are six in total. Science programs, however, may specifically list four, five or even all six requirements, thereby limiting your ability to “fill up” your six credits with electives. All the required 12U courses for your program will be automatically included in the Top Six. If your program requires 12U English, for example, then your English grade will be used in your “Top Six” (university admissions average). After all the program’s required courses have been included, then the university will take your highest remaining elective grades until six grades have been included. So, when it comes to required courses, you have no choice but to use those marks. As for electives, they will give you the benefit of the doubt and use the highest grades available to fill out your Top Six. Of course, if you only take six credits, all six will be used. It is only in the event that you take more than six credits that you have the pick of your highest elective marks. Not all of your courses have to be 12U courses. Most universities will allow you to apply with some number of 12M courses in your top six. But, many schools or programs limit the number of 12M courses that can be used. This usually doesn’t affect many applicants, but if you have taken several 12M courses and are applying to a program with very few required 12U courses, you could be affected by this limit. As you can see, the courses included in your Top Six will vary from program to program. Therefore, knowing which programs you’re applying to and what pre-requisites are required is key to creating the highest Top Six score possible. Put your greatest effort into earning high marks in your program’s pre-requisites. These marks will count. Note that 12U English is a requirement for just about every program at every school. You should assume that this course will factor into your Top Six, even if you will be applying to a science, math or business program. Take more than six 12U courses so that you will have electives to choose from. You may wish to spread these courses out over your Gr. 11 and 12 year, and/or use summer school, night school or distance courses. Consider taking fewer 11U courses, which can’t be used towards your admissions average and take 12U courses instead. Don’t forget that some schools offer credit for extra-curricular involvement (music ensembles, student newspaper) and sometimes these credits are at the 12U level. These courses can not only give you extra electives to choose from (or reduce your class load so that you can focus on fewer classes) but also give you experiences that will benefit you far beyond university admissions. Remember the above tips are for maximizing your Top Six average (and consequently your chances for university admission), not for maximizing your overall educational experience! Above all, make reasonable and responsible choices, consider your short-term and long-term goals and play to your interests and strengths when making your course selections. Personal statements are ways for graduate admissions committees (usually made up of program faculty) to learn more about you as an applicant. Much like a cover letter for a job application, the personal statement is a way to sell your abilities. You may have had to submit a personal statement as part of your undergraduate application. 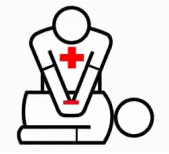 Students are required to obtain Cardiopulmonary Resuscitation (CPR) certification.